I was born on 28 November, 1951 in Bidor town in the state of Perak as the eldest son in a family of five siblings. At the age of two I moved with my family to Petani Para Estate, near the town of Sungai Petani in the state of Kedah. I was born for Hindu parents and brought up the Hindu way. I received my elementary education in English at the St. Theresa’s Primary School in Sungai Petani. As my mother was not well, and my father was the sole breadwinner as a rubber tapper in the family, I was forced to sacrifice my education at an early stage in life. Owing to poverty I was compelled to work as a rubber tapper at the age of 13, a kind of child labor! I was tender and fragile, but had no choice. As a youth I was very involved in temple activities of Petani Para Estate. I even served as Chairman for youth committee of temple. Inclined to serve community at youthful days, I joined the 4B Youth Movement sponsored by the Malaysian government. I was the estate representative for the movement and played an active role in guiding the youths. That laid a foundation and motivation for me to serve the community. But these never brought me any peace of mind, as my real inner search was for something spiritual. Since I was studying in the Christian missionary school, naturally Christianity did influence me. But still I grew up asking a lot of questions regarding God. My first encounter with the Baha’i Faith occurred when I was 19 years old. One evening Mr. N.S. Maniam of Jabi Estate near Alor Star came to teach the Faith to the people in Patani Para estate. A meeting was organized at the house of Mr. Ramarao, who later served in the National Baha’i Centre in Kuala Lumpur. About 5 youths including me attended the session. N.S. Maniam explained about the Bab and Bahá’u’lláh and Their teachings. As I was not able to grasp much, I left the meeting. But it appeared that I was fated to attend a fireside at the house of the late Mr. Beergan on 20 October 1970. At this fireside session Mr. Gopal, an overseer of labourers explained the Faith in simple and clear terms. I was very convinced and accepted the Faith on that day, what an auspicious day that marked the birth of the Blessed Bab. This was followed by deepening and consolidation sessions. Several outstation Baha’is came to the estate to deepen us- from Alor Star came Uncle Nagaratnam, Mr. Ganasa Murthi, Mr. V. S. Maniam, Mr. Gunasegar, Mr. Thiagarajan, Mr. Chong Boo Haw, Mr. Kanthakumar and the late Mr. Mei Siew Hong. Mr. S. Krishnan and Mr. P.U. Suppan came regularly from Sungei Petani for conducting deepening classes on various subjects. All these strengthened the Baha’is of the estate. The assembly started to gain strength. 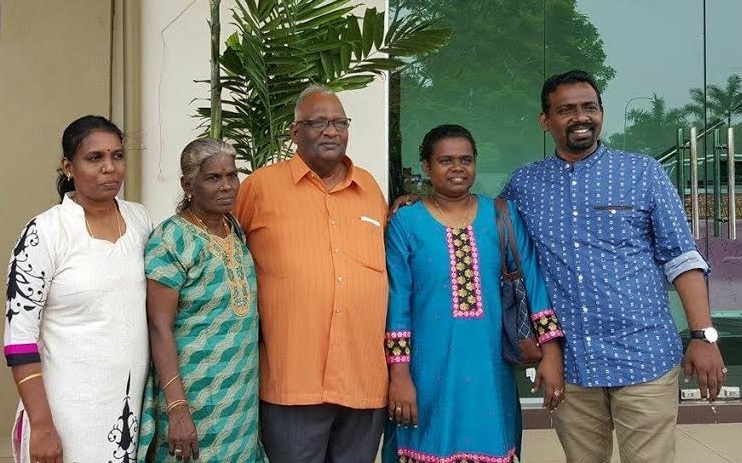 Three home-front pioneers- the late Mr. Mailu Muniandy, the late Mr. Arumugam from Jabi Estate and Mr. Narayanasamy came to settle down in the nearby Godin Estate with the intention of assisting Patani Para Baha’i community. With their help Feasts, deepening classes, observing of Baha’i holy days were carried out regularly. The Assembly was nurtured into maturity, and soon took full ownership of local Baha’i activities. The Assembly concentrated on achieving the goals of the 9 Year Plan. In 1978 the Bahá’ís of the estate formed a Musical Band. This group made the earliest recording of Tamil Bahá’í songs in cassette form. Patani Para estate became the center of joint estate activities. Soon the whole country came to know about this vibrant estate community. The Assembly then appointed a Local Baha’i Youth Committee with me as Chairman, Mr. Suppiah Beergan as Secretary, Mr. Chandramogan as Treasurer, and Mr. Rajendran and Mr. Jothi Beergan as members. The youths began to move actively and started children classes and deepening classes on their own. The youths then begun to cycle to teach in the neighboring estates like Sungkap Para Estate, Bukit Lembu Estate, Sungai Toh Pawang Estate, and even to the small town of Bukit Selambau and Kuala Ketil. Many came into the Faith from these outstation teaching trips. 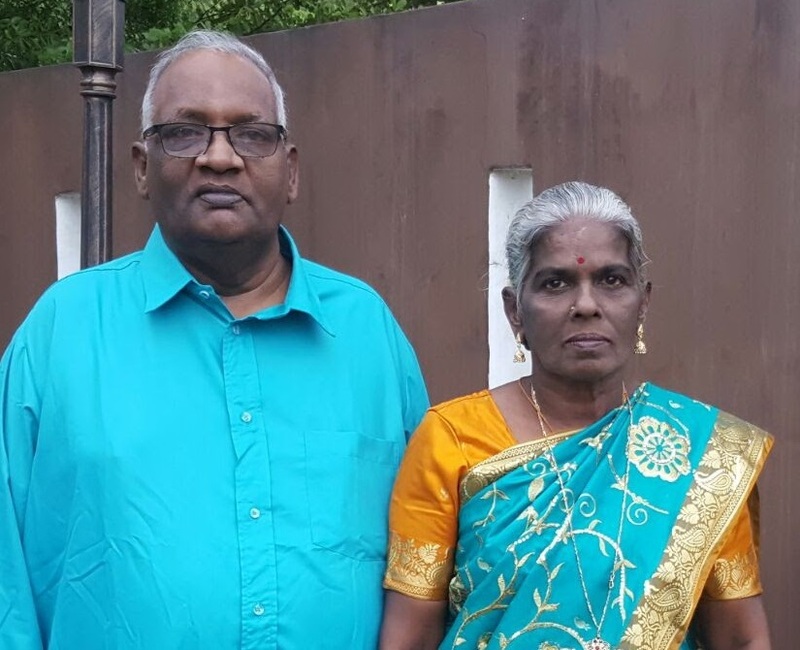 Within the estate too more youth in Patani Para estate came into the Faith, notably the late Mr. Lingan, Samynathan, Babu, Ponnusamy, Rajendran and Thangaveloo. It is to be mentioned that the late Mr. Maheswaran went to India as a student pioneer in 1971. The late Mr. Indra Balan who was opposing the Faith vehemently accepted the Faith on observing the sincere love the Baha’is showered upon him despite his attitude towards the Faith. He became a great pillar and went for the South India Teaching Project in 1977. Manisegaran who was at this time staying in Sungei Lallang town visited us regularly and conducted deepening classes. In 1976 the Youth Committee won the Rose of Ridvan Challenge Trophy of the National Baha’i Youth Committee. Now that I had become a Bahá’í, I prayed for a Baha’i bride or in the least someone who would not be an obstruction to my services for the Faith. My prayers were answered and on 23 May, 1971, I married Miss M. Govindama. As she was from Hindu background we had a Hindu wedding first, followed by a Baha’i wedding sanctioned by Local Spiritual Assembly of Patani Para. The Baha’i wedding was conducted by Mr. S. Krishnan in the Sungei Petani Bahai Center. I clearly remember A. Manisegaran, Janaki, Mr. P.U. Suppan, the late Mr. Nagalingam and Thannimalai were among those present in this simple ceremony. Two years later my wife accepted the Faith, and this gave me a great strength to serve the Cause. Out of this marriage we had four children- a son Ragu who passed away, daughters Kogilawani and Prema, and a son Sanker. As the community grew large there was a need for a separate Baha’i Center in the estate. Local Spiritual Assembly brought up this matter to the estate management. The estate manager who had good opinion of the Faith through other Bahais he had known, gladly provided a separate labourers quarters for us to meet. From then onward all our activities were held at this Centre. As a next move, in 1971, the estate management provided a separate land to be used as a burial ground. This caused some kind of jealousy from other dwellers in the estate, and petitioned against the Bahais. The estate management stood firm and supported the Baha’is. As the community grew, the management gave a separate land for building our own Baha’i Center. Ground breaking ceremony was done but this was abandoned as there was fragmentation of the estates and many were moving to urban areas. As I was on fire with the love for the Faith, I started going for daily teaching and returning home late or in the wee hours. My father, who was controlling the finance in the family expressed his open displeasure at what he considered my irresponsibility. This period was difficult for me, especially in serving the Cause. I had to manage with only a meager amount of money, and to manage my own life, I started petty business with help of Mr. P.U. Suppan. 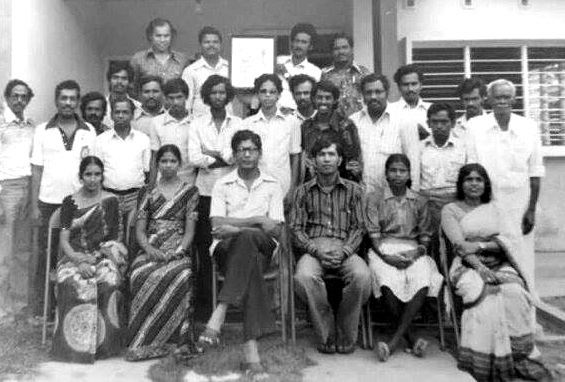 With Uncle Nagaratnam moving into Sungei Petani in 1975 regular and effective deepening classes were conducted by him on Sundays at the Sungai Patani Baha’i centre, with many Baha’is participating from the whole of Central Kedah. The focus of the deepening classes was to kindle the fire of love for Bahá’u’lláh. Mr. S. Krishnan and Mr. V.S. Maniam also assisted in the deepening classes. These classes were conducted from 3.00 pm to 6.00 pm. I used to cycle on gravel road for 40 km to and fro all the way from Patani Para Estate to attend these classes. Highly motivated by these classes, I stepped up my teaching activities. As the sphere of my services widened the National Assembly appointed me on the Regional Teaching Committee. Since this involved more traveling my bicycle was no more able to serve me effectively. With Bahá’u’lláh mercy I managed to buy a motorcycle, with which I could travel more than 100 km all over Central Kedah. 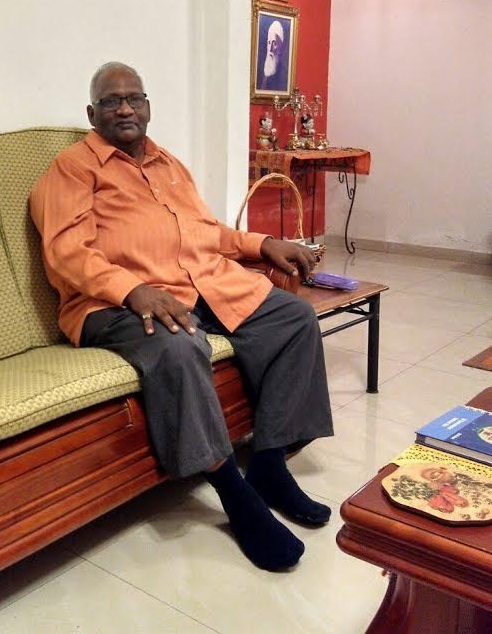 Most of the time, I traveled with S. Krishnan on motorcycle, and at times in Uncle Nagaratnam’s car. I undertook teaching to join in the South India teaching Project of 1977, which I hope to narrate in detail on some other occasion. When I came back to Malaysia after the South India Teaching Project, I resumed my old job in Patani Para estate, and continued to serve the Cause effectively in the estate and the whole of Central Kedah. I was back on the Regional Teaching Committee. When Assemblies were restructured on district level, I was elected to serve in Local Spiritual Assembly of Kuala Muda District. For more than 3 years I served the Faith to the best of my ability in Central Kedah in various capacities. By this time the Kuala Muda Assembly and the community were already strong. However, my inner self was not at peace because I always had a great urge to go pioneering. But owing to family circumstances I could not fulfill this dream. Then I decided to go at least as home front pioneer. As I was praying, I receive a letter from the late Mr. Lingan from Kuala Lumpur, urging me to go as home front pioneer to Seremban town in the state of Negeri Sembilan. I immediately wrote a letter to the Spiritual Assembly of Malaysia indicating my intention, and they replied asking me to proceed with my plan. In September 1981, I moved to Seremban with my wife and 3 children by bus, with basic needs and hardly with sufficient money. I had only RM 25.00 in my pocket. I knew Bahá’u’lláh would not fail me as I was going for His service. A friend from Patani Para Estate by name of Gunaseelan who was living in Seremban offered a room for the five of us to stay until I got a proper house to rent. Five of us had to occupy the room for 6 months, at a time when my children were all grown up. My eldest daughter Kogilavani was 8 years old, second son Sangker was 7 years old, and youngest daughter Prema was 5 years old. We lived in a cramped room. Although life was difficult there was an inner peace that were were undergoing all these for Bahá’u’lláh. We received moral support from Mayakrishnan, another believer in Seremban. Soon we managed to rent out a house nearby where we could live with slightly better comfort. Since I could not get proper employment in Seremban, I began to sell fish and vegetable on motorcycle. I worked very hard in order to get sufficient income to run my family. With some income coming in, I started to go teaching in several parts within Negeri Sembilan. Working for survival and teaching the Cause was my main life style. After 6 months, the National Assembly appointed me on the National Teaching Committee. 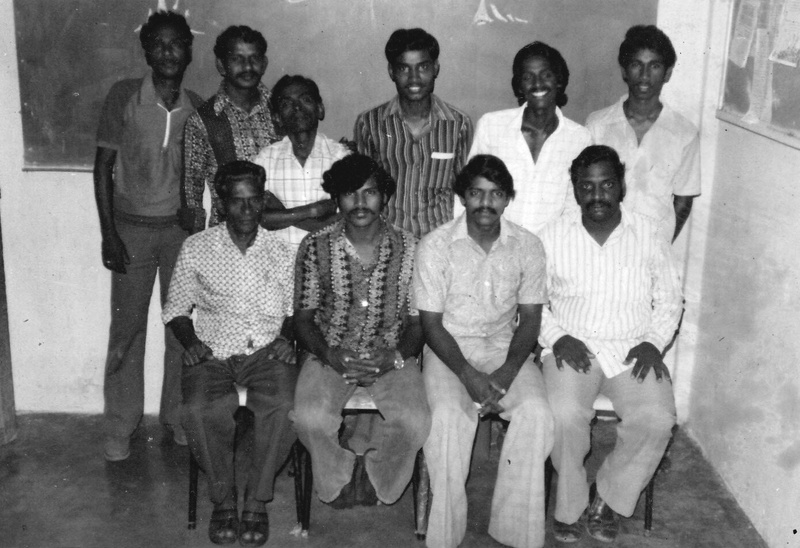 The members then were Dr. Sree Ganesh, Dr. Ludher, Mr. S. Bhaskaran, Mr. Lum Weng Chiew, Mr. G. A. Naidu, Mr. Thanabalan, Mr. Sivalingam and Mr. Theenathayalu. All these Baha’is were highly educated and professionals, whereas I was only an illiterate peddler selling fish and vegetable. Although my knowledge was simple, I was sincere in my love for the Faith. Over time I earned their love by my humble service rendered to Bahá’u’lláh. The National Teaching Committee meetings were usually held in Kuala Lumpur. I had to travel to and fro 160 km from my house in Seremban. I had to travel weekly on Thursdays to Kuala Lumpur. Whether it rained or shone or in heavy traffic I did not miss the meetings. I prayed to Bahá’u’lláh for help to reliever my burden of traveling by motorcycle. Soon I was enabled to purchase a small used car. With this I was able to travel even to distance places for Baha’i activities. The National Teaching Committee entrusted me the development of Local Spiritual Assemblies in the states of Negeri Sembilan, Malacca and Johor. To carry out this task I traveled for many years with the late Satanam who was a Board Member for those areas. When Mr. Satanam went pioneering to Laos, I continued the task under Dr. Gopinath, member of the National Spiritual Assembly and Board Member Mr. Sinnathamby. I served on the National Teaching Committee for more than 10 years. Meanwhile I was also appointed as a member of National Tamil Teaching Committee. The members of committee were Mr. Kanniappan, Mr. Krishnan, Mr. V.S. 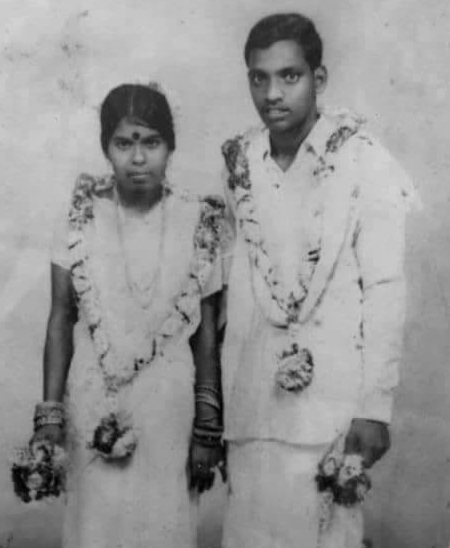 Maniam and Saroja Selvaraju. By being in all these committees I gained more knowledge and experience. Later when the Regional Baha’i Council was introduced I was appointed a member for Regional Baha’i Council for southern region covering the states of Negeri Sembilan, Malacca, Johor, Selangor and Pahang. I had to step up my services. There is one incident that I shall always remember. It was Uncle Yangkee Leong’s last trip to Seremban, before he passed away. My wife, Mr. Ringoh, Rukumani and I bought him to meet the Baha’is in Rantau. There we had a deepening on Baha’i Family life. After that, we went to Ulu Pedas Estate where we met more believers, and Uncle Yankee Leong spoke about individuals associating their lives with Bahá’u’lláh. His words were simple but penetrated one’s soul. In Uncle Yankee Leong, I learned how to be down to earth. I once again went to India for teaching. When I came back to Seremban, Study Circles based on Ruhi program was held everywhere. The Spiritual Assembly of Malaysia commissioned me to promote this program in different parts of the country. I actively promoted the Ruhi program especially among those Tamil speaking groups. Many Tamil speaking participants completed Book 8 in many localities. While this program was going on, I happened to come across a message of the Universal House of Justice dated 28 December, 2005. One paragraphs related to pioneering in a Cluster area had a profound influence on me. Then my wife and I made up our minds to go home front pioneering to Bahau town, a nearby cluster area. In March 2006, we left for Bahau town where we rented a house that also served as a meeting place. As a Cluster Coordinator I served the Cause for 4 years in organizing and conducting the four core activities. Some 22 participants completed Book 7 during this period. Mr. V.S. Maniam and Mr. Anjan from Seremban assisted in the institute process. After 4 years of service as home front pioneer in Bahau, we came back to Seremban. In Seremban I was appointed as Cluster Coordinator and was again always on the move to promote the 4 Core Activities. In 2017, I am no more in any institution, but am still actively involved and committed to development of the 4 core activities in my own neighborhood. What else would a father want other than a good life for his children. I took care of God’s Cause without any barter, bargain or strings attached. But Bahá’u’lláh in His usual Immense Mercy has taken care of my children in His own way. Admittedly He has taken care of my family more than I would. My three children are married and now have their own children. I have five grandchildren. My son Sangar is working as an engineer in Singapore, living in Johor and serving as Chairman of the Assembly in Johor. He is also an institute coordinator. His wife Madam Rama Prabha, a Secondary School teacher is also actively involved in Baha’i activities. While my children are actively serving the Cause, I am not able move like before. I am old and feeble these days. Now all my loving children support me in all things. I am already in the evening of my life. When I was in the estate, I never dreamt of any passport. But all my overseas travels have been for Bahá’u’lláh alone. Bahá’u’lláh enabled me to get international passports to go overseas. I undertook easily ten teaching trips to South India, and one trip to Sri Lanka with Mr. Rajendran from Patani Para estate. I was enabled by Bahá’u’lláh to attend the Second Baha’i World Congress in New York in 1992, followed by a visit to the Mother Temple of the West in Chicago. In 1998 Bahá’u’lláh enabled me to visit the resting place of the Guardian in London. I was enabled to visit the House of Worship in New Delhi twice. I went on teaching trip to Sarawak for 9 days with Mr. S. Krishnan in January 2017. I humbly offer my gratitude and thankfulness to Bahá’u’lláh and the Bahai institutions for paving and giving me the opportunities to serve in many areas and in different capacities. This illiterate servant was always guided with knowledge on the Faith by many learned Baha’is, far too many to mention. Among those who come to my mind now are Uncle Nagaratnam, Mr. S. Krishnan, Mr. Ganasa Murthi, Mr. V.S. Maniam, Dr. Sree Ganesh, the late Uncle Satanam, Mr. Sinnathamby, Dr. Gopinath, Mr. Yong Siew Kiang, the late Maheswaran, Mr. P.U Suppan, Mr. Manisegaran, Dr. Ludher, Mr. G. A. Naidu, Counselor Lee Lee Ludher, Mr. S. Bhaskaran (Malaysia), the late Mr. Ravichandran, Balasubramaiam (Kluang), Mr. Doraisamy (Semenyih) and Mr. N.C. Baskaran (Andhra Pradesh). I also express my thanks to my dear wife who was always with me in times of ups and down. She was there for me during the most crucial period. I owe my deep gratitude to my parents who had brought me to this world and supported me in all my Baha’i services. I thank my brothers and sister who supported in my spiritual journey. Bahá’u’lláh has said He loves us more than we do ourselves. How true! As a laborer hailing from a rural setting, I could not have dreamt of traveling abroad. Never in my dream had I thought I would visit step out of my county- I was nothing but an estate laborer, full of shortcomings, equipped with nothing but frailties, belonging to lower social status, downtrodden economically, deprived of almost every comfort of even a simple life. Yet I could only thank Bahá’u’lláh for picking me out of utter nothingness to serve Him! I served as an instrument in His hands not with my knowledge, intelligence or intellect, but only with the love of Bahá’u’lláh in my heart. When I started my Baha’i life, I could not utter a word in English, but as I grew in the Faith I was able to read, write and converse reasonably well in English. Bahá’u’lláh has been with me all my life, strengthening me. The lesson I learnt is this: If we humble ourselves and show sincerity Bahá’u’lláh will without fail use us as His instrument. My only prayer is to remain steadfast in His covenant until my last breath.